This is a guide for those who want to use a Custom UI, but do not yet know how. It took me awhile to figure it out when I started using Custom UIs, so I figured other people might be having problems too. 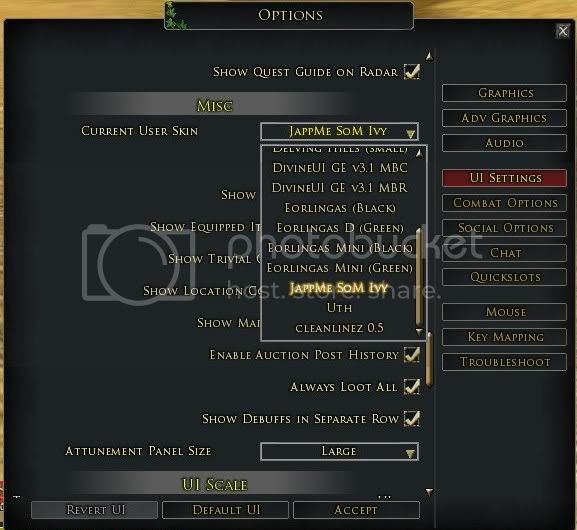 In this tutorial, I’ll just be using a skin from LOTRO Interface, specifically using the skin JappMe SoM Ivy. It’s a nice clean skin with few frills but just a hit of ivy decor about it. I use it on my burglar, personally. If you clicked on that JappMe SoM Ivy link, you will see a big button near the right side of your screen that says Download in big letters. You will want to save the file. Unless you have specified otherwise, most often the things you download will go to your Downloads folder by default. 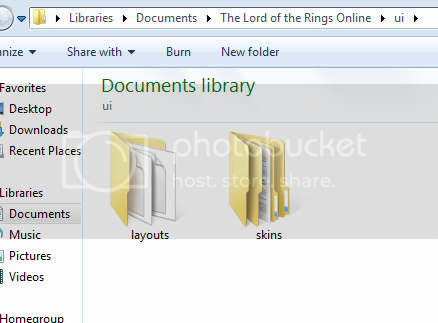 You can find your Downloads folder under User name > Downloads. To open the file, you should have some kind of software to unzip it. The one I use is 7-zip. There is also WINZIP, among others. 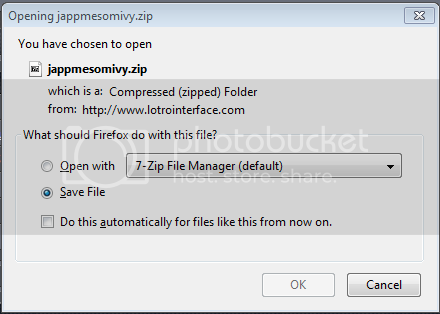 Note: 7-zip is free, WINZIP is not. After you get that set up, you should extract the file. I usually extract to the desktop because I can make sure I did it right easier. 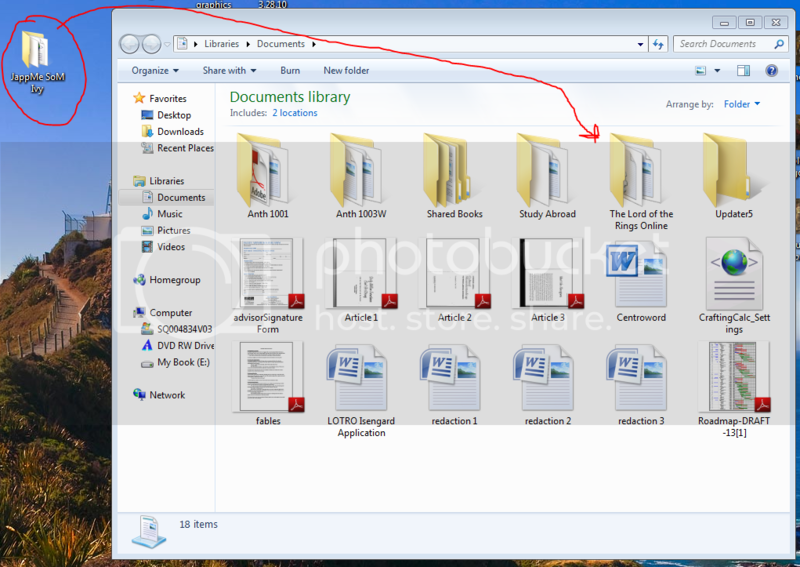 The reason the red arrow is pointing towards the folder is because eventually, your JappMe Som Ivy folder (that you extracted earlier) will go into there. 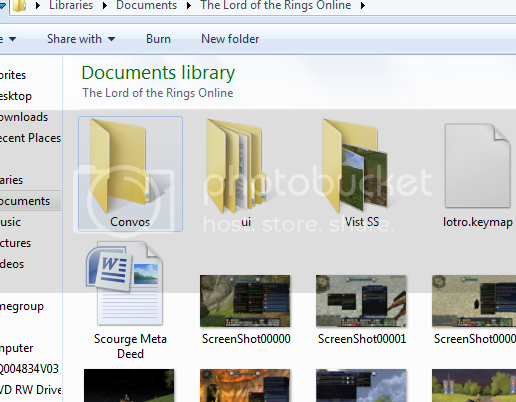 However, there are some sub-folders in the LOTRO folder you must make sure you have first. Now, you are ready to move your JappMe SoM Ivy folder. Now for the in-game parts. If you’ve had the game open all this time, exit the game. Log onto the character whose UI you want to change to the JappMe SoM Ivy skin. Note: Changing the UI skin on one character will not alter the UI skin or layout of any of your other characters. 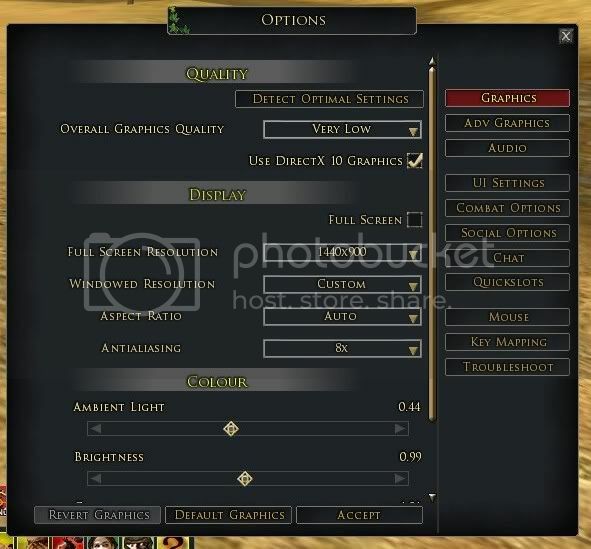 On the right you see that the fourth button down is called UI Settings. Click on it! A bit farther than mid way down your UI Settings (that is, you have to scroll down a bit), you will get to the MISC sub-section. As in the above screen shot, you will see a drop down menu (it should say NONE in it originally) where it says “Current User Skin”. If you’ve done all the above steps correctly, the option for JappMe SoM Ivy should be in the drop down. Select it and then hit ACCEPT at the bottom of your menu. And VOILA! You have a shiny customized UI now! So pretty, isn’t it? 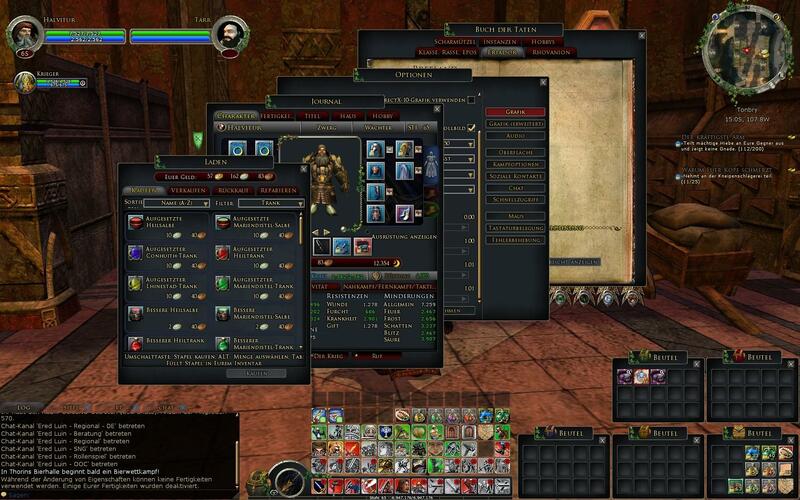 You can do this with pretty much any of the skins the LOTRO Interface has to offer and some of the authors whose skins are more complicated to set up give their own instruction for their skins. Now have fun beautifying your UI! This is a good tutorial for windows xp (wish i saw it when I ran xp), but how do you do this for Windows 7. I did as you put in here as habit, but the game does not see the files and no options show up for a custom change. This isn’t for XP though, I did this all with Windows 7, it should work fine.